It’s true what they say: there’s nothing quite like a feast in the forest. I’m recently reminded of this during a visit to a cozy backcountry lodge, perched above a mountain lake and surrounded by lush temperate rainforest. 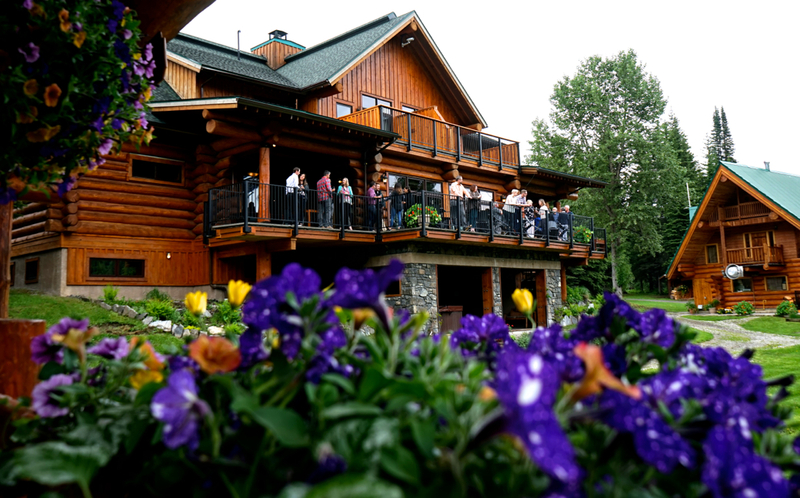 Our five-course meal — a highlight of the inaugural “Untamed Kootenays” event held at Island Lake Lodge near Fernie, B.C. — is spectacular. Featuring forest-foraged ingredients and contributions from Calgary-based guest chefs Justin Leboe (Model Milk and Pigeon Hole) and JP Pedhirney (Bridgette Bar), the menu includes salad dressed with burnt-orange vinaigrette and a slow-poached quail’s egg, morel mushrooms and dumplings, savoury rainbow trout with creamed nettle, and melt-in-your-mouth elk osso bucco with truffle cheddar polenta and fireweed gremolata. Final touch? Spruce tip-infused creme brûlée for dessert. Of course. 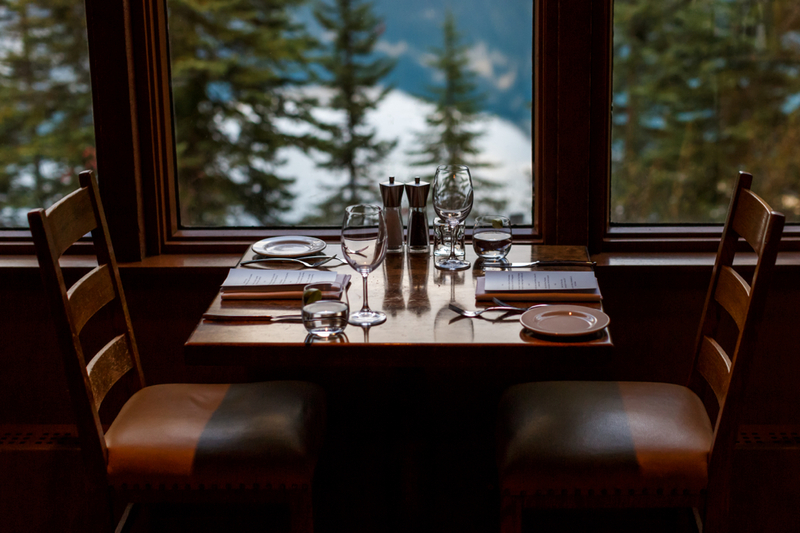 Island Lake Lodge’s rustic vibe and remote location — at the foot of the dramatic Lizard Range in the Canadian Rockies and surrounded by nearby hiking and biking trails and a lake to paddle — takes this stellar menu to the next level. 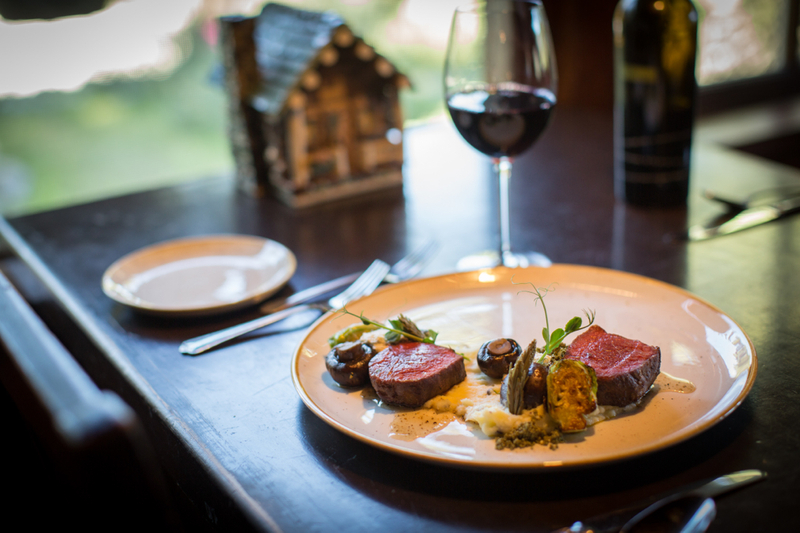 ”Eating with us is like enjoying an extravagant picnic,” says lodge chef Keith Farkas, who is known for dishes such as seared scallops accompanied by orange-cardamom relish and smoked pork chops brushed with cedar-maple gastrique. 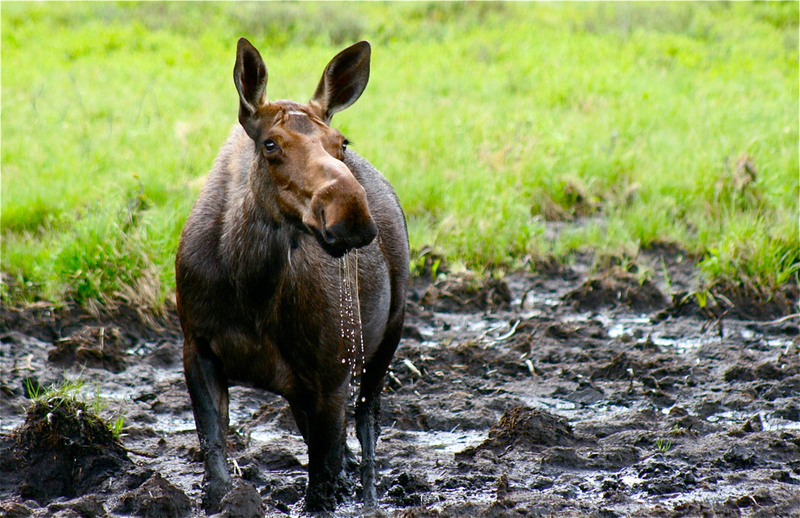 Cooking to high standards in remote wilderness locations can be challenging, says Farkas, who has worked at a handful of lodges in Western Canada. 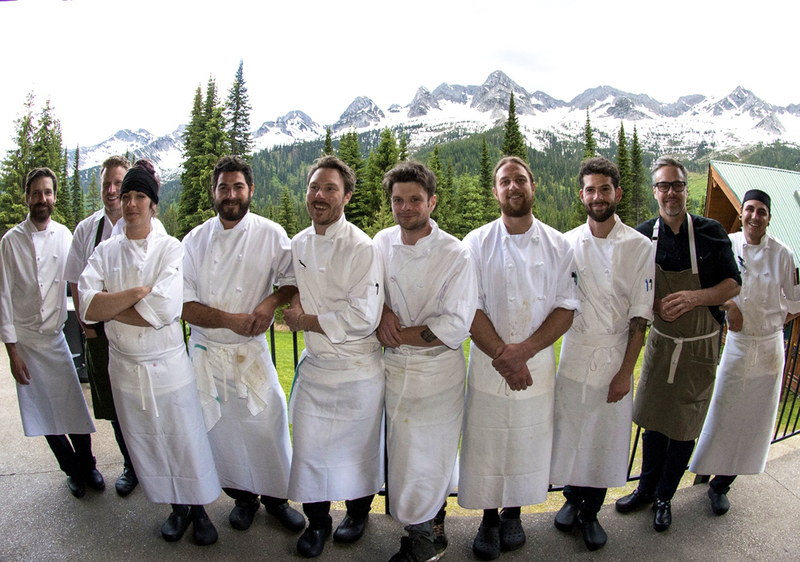 During a visit to Skoki Lodge in Banff National Park a few years back, I spoke with chef Katie Mitzel about the trials and tribulations of chefs working in the wilderness. She grinned and said that sometimes, when produce arrived after bumpy trips through mountain passes carried by pack horses, fresh raspberries had morphed into raspberry jam and cream had turned into butter. Executive Chef Alistair Barnes of Emerald Lake Lodge, who has spent a career working with Canadian Rocky Mountain Resorts (which also includes Deer Lodge in Lake Louise and Banff’s Buffalo Mountain Lodge) insists that flexibility is a requirement for anyone considering a career as a backcountry chef. “You can be at the wish of the elements. Mud slides. Avalanches. Storms. Flooding. We’ve experienced all of these things. These situations can affect supplies coming in and people being able to leave. As a chef, you’ve got to be able to think on your feet and improvise if you get cut off temporarily from civilization. You have to innovate with what’s in the pantry,” says Barnes. Then there’s the question of wild animals. 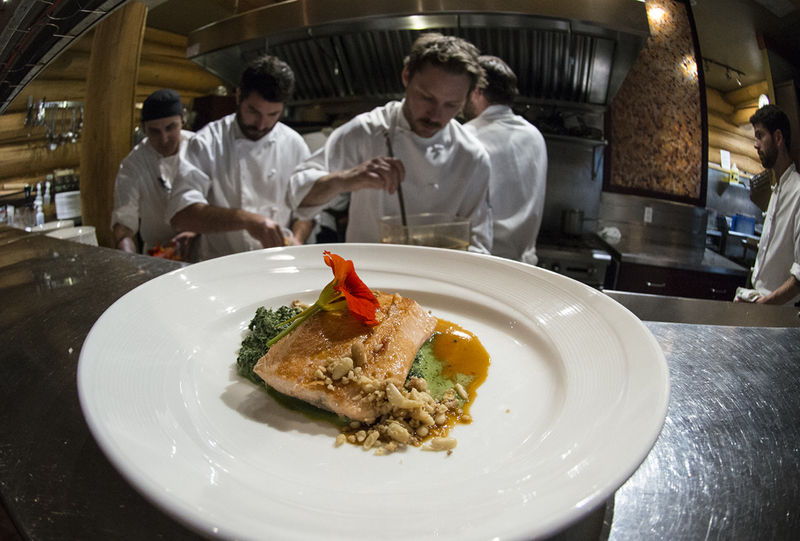 Not long ago, I paid a visit to Alberta’s historic Storm Mountain Lodge near Banff where I met Chef Guillaume Sylvain. “What makes it so special here is that you never know what’s going to happen. 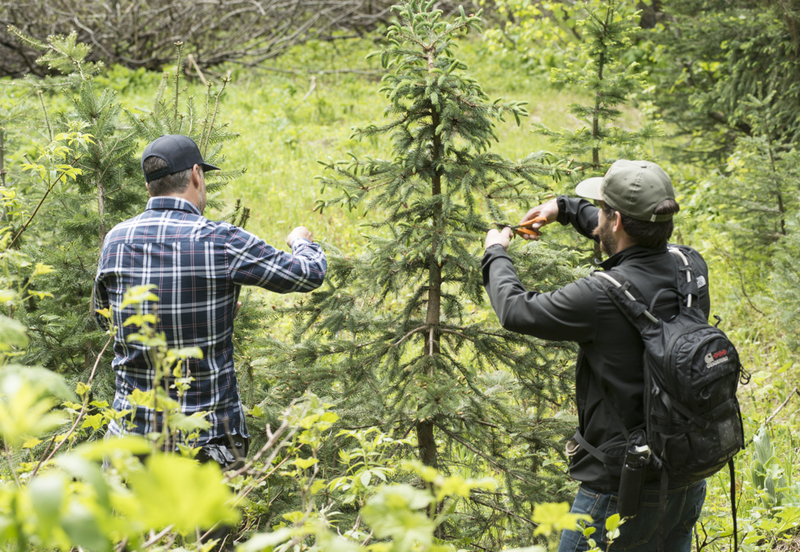 Every year, we get visits from grizzlies and black bears foraging for food around the lodge,” says Sylvain, who specializes in boreal cuisine cooking traditions from Quebec. “It was crazy. Just below the lodge we had a grizzly and two wolves take down a moose. I mean, this is circle-of-life stuff,” says Vega, who moved to Canada a year ago from Argentina to take the position. 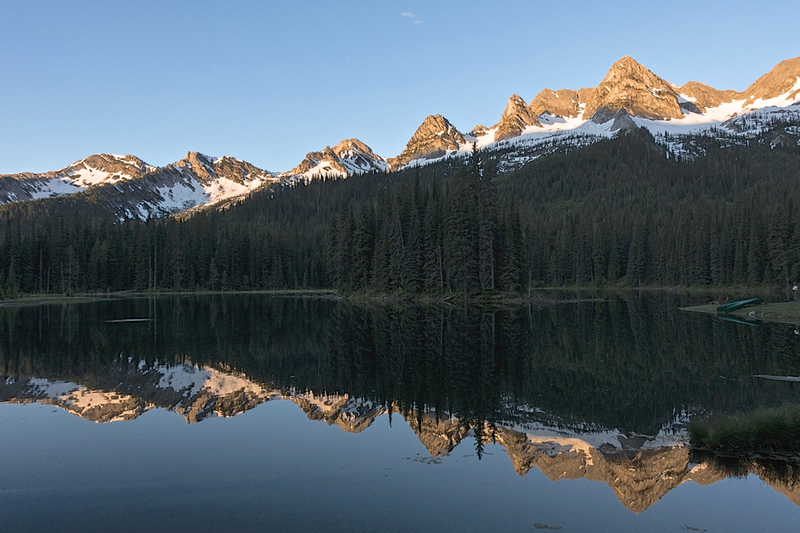 Vega touches on a theme that pops up repeatedly among backcountry chefs — quality of life. 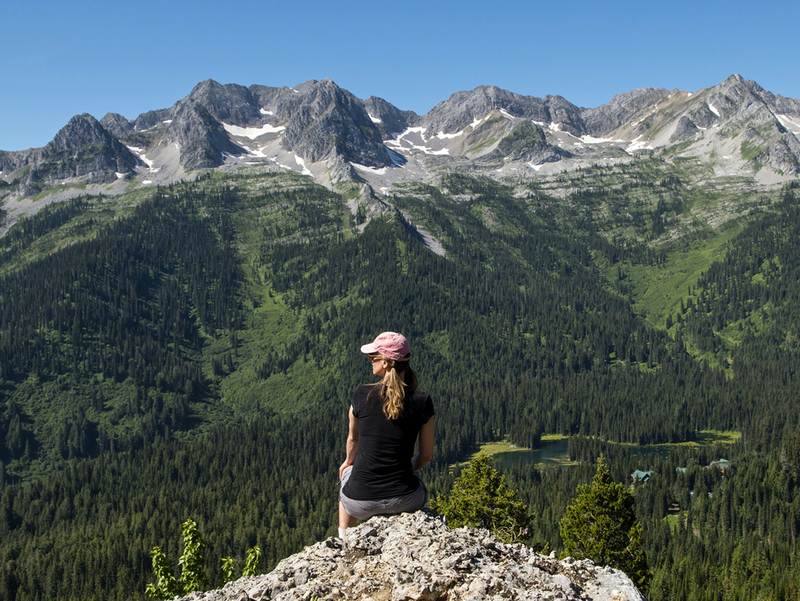 The work is tough, but it’s worth it, says Annick Blouin of British Columbia’s Assiniboine Lodge. “We work hard here at Assinboine Lodge. We’re running around all day. 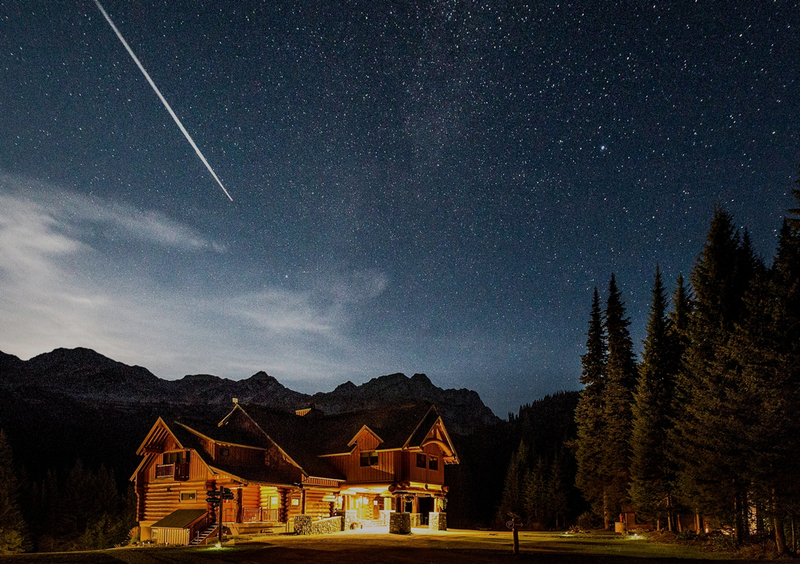 We literally fall into bed at night and pass out,” says Blouin, whose kitchen stocks are delivered by helicopter into the remote Mount Assiniboine Provincial Park location. Back at Island Lake Lodge, day is turning into night and we’re about to crack into our spruce-tip-infused creme brûlée, made by the lodge’s talented pastry chef Catherine Chartrand. There’s a glow in the dining room. Guests have been mountain biking, hiking the surrounding old-growth trails, canoeing, hitting up the spa for body scrubs and sipping rosé over lunch on the deck. I’m glowing, too. Beyond enjoying the weekend’s culinary delights, I’m relishing the fact that I’m tucked away, far from the rat race of the city, in a log cabin in the woods. I’m also enjoying the fact that earlier in the day, I peered out my window to see an adolescent grizzly bear foraging for berries, having his own feast in the forest, just a stone’s throw away. 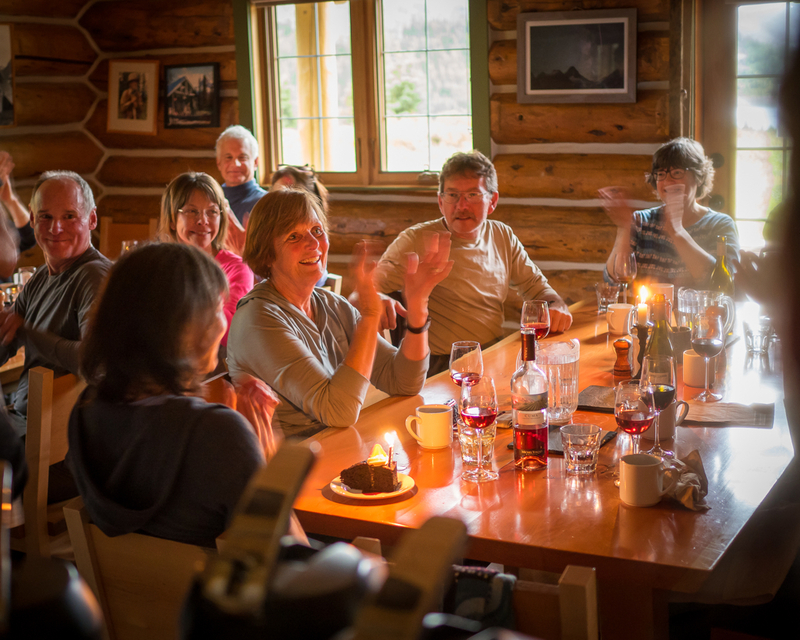 *Editor’s note: This post was produced as the result of an arms-length collaboration with Island Lake Lodge. Thanks, as always, to our partners in tourism throughout Canada who continue to give us opportunities to tell stories about Canadian travel culture. So, Kim, what a job you have! I so wanted to be with you both eating what you described and watching the teenaged grizzly who was enjoying his own gourmet feast. This is such a great article. Over the years, I have stayed and dined at every one of these lodges except Skoki, which for some reason we never made it to. Your comments and the photos bring back a flood of memories, including a time when Fran Drummond ( Twin Falls Chalet) brought in a birthday cake on her back pack. Needless to say some repair work was required, but it was delicious. I love the idea of creme brulee flavoured with spruce tips. I tried fir tea in Quebec recently and thought it was delicious. Love your blog! I love the idea of creme brulee flavoured with spruce tips. I tried fir tea in Gaspeseie, Quebec, and thought it was delicious. Love your blog!